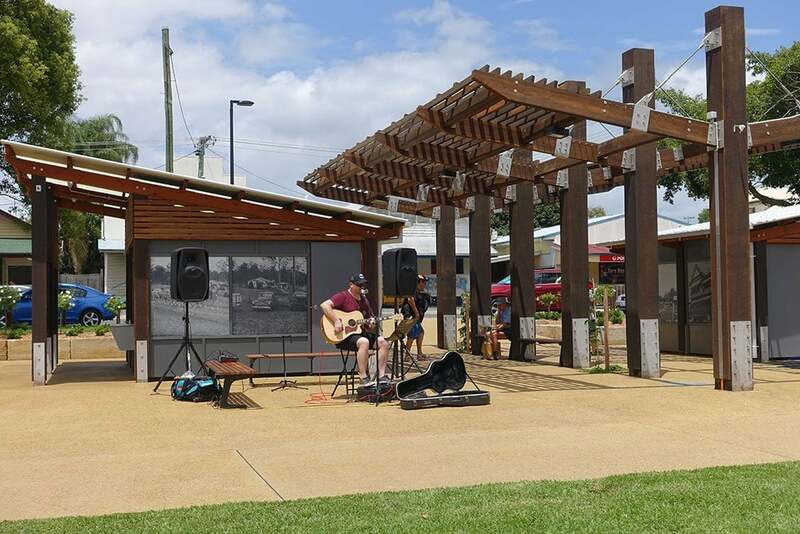 The township of Miriam Vale is set to benefit from the recent $4 million rejuvenation of a prominent public park, complete with several custom-made Landmark shelters, restrooms and other outstanding pieces of infrastructure. 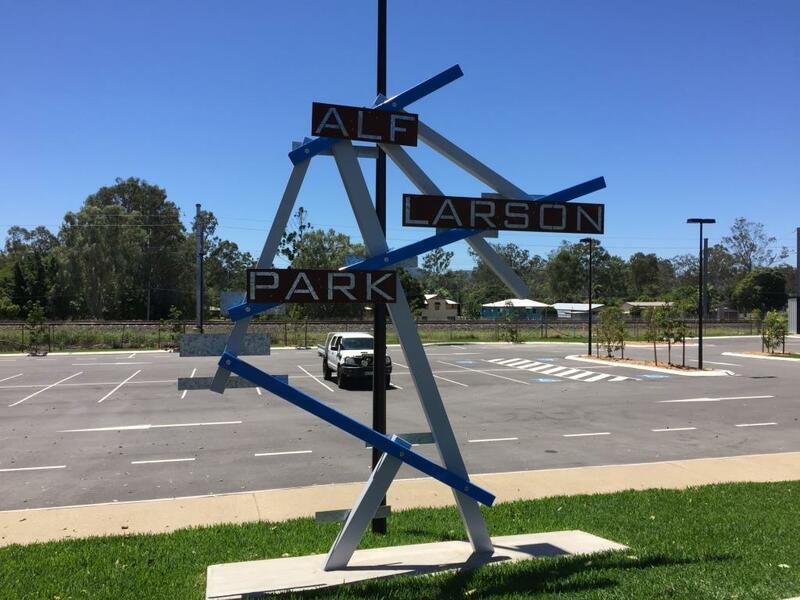 With Alf Larson Park located near the Bruce Highway, the eye-catching infrastructure is designed to not only attract locals, but to lure passing motorists to stop and enjoy a short stop in the Queensland town, located about halfway between Bundaberg and Gladstone. 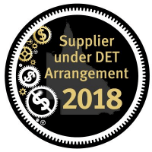 In preparing for the project, Landmark Products worked closely with the Gladstone Regional Council and local design company to supply a range of standard and custom products to capture the history of the Miriam Vale area. 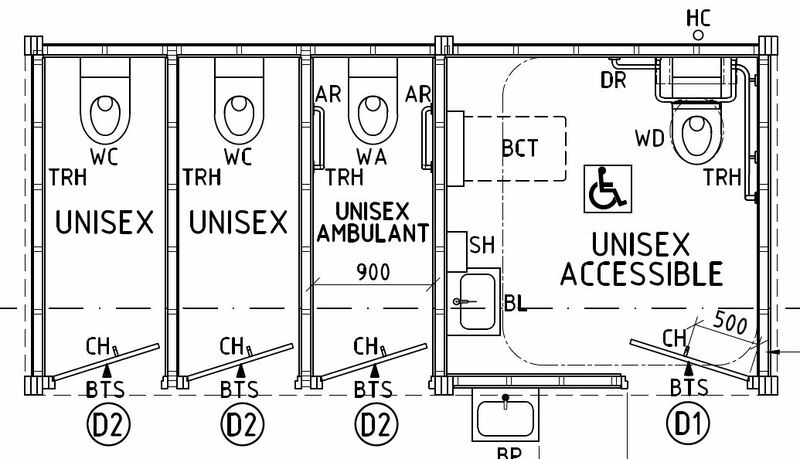 Two custom-built restrooms featured etched aluminium artwork panels showing various aspects of the region’s heritage. 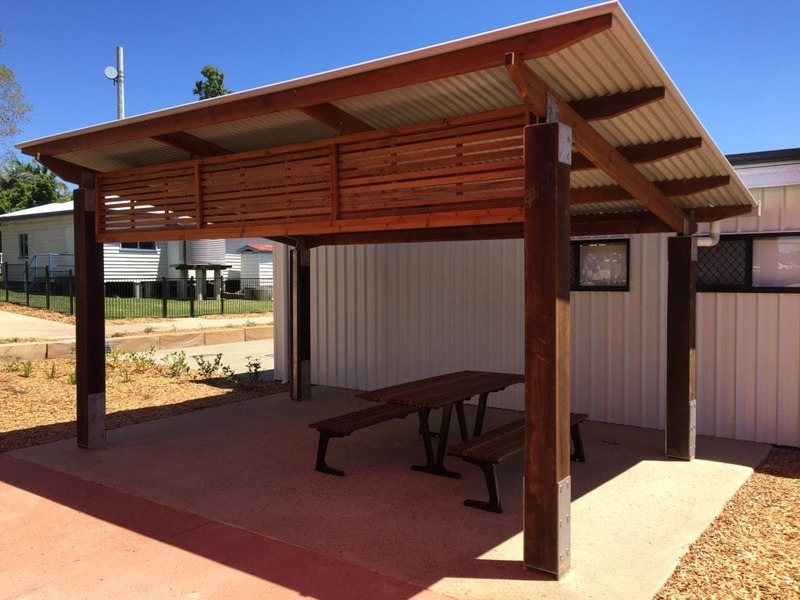 A large custom entry arbour was built with 350x350mm hardwood posts and all shelters and restrooms used 200x200mm timber posts in tribute to the region’s timber industry, which dates back to the 19th century. 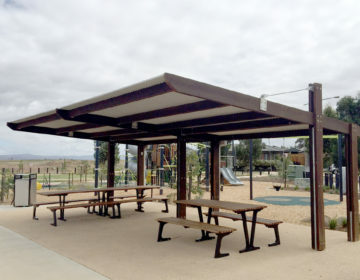 Landmark also provided several shelters, and Furphy Foundry benches and picnic settings throughout, all designed to blend with other components of the park, including a custom playground installed by Urban Play. The project also included an upgraded community workshop and youth meeting centre. 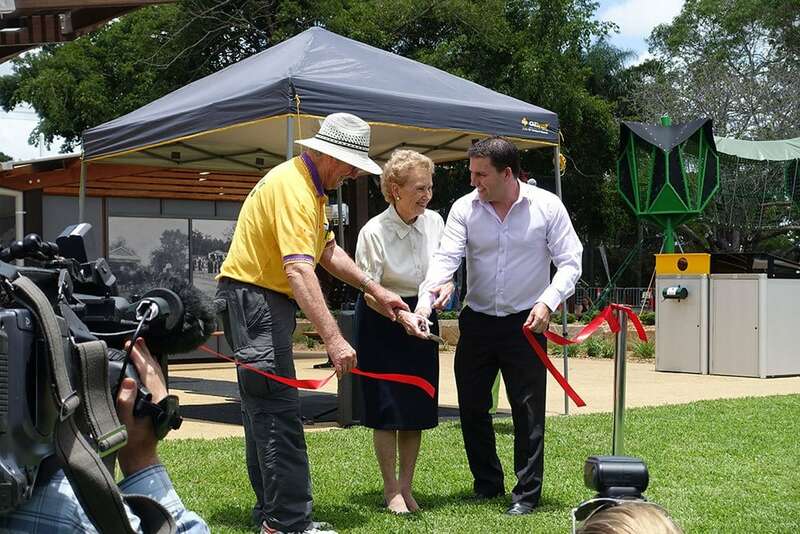 A large crowd, including the Gladstone Regional Council Mayor, local Councillors and entertainers attended the grand opening in November. Local residents were awe-struck at the vast improvement of the park’s facilities, and look forward to using the park themselves, and to more passing motorists taking advantage of the park’s facilities and local stores. The park boasts a new car park which includes spaces to accommodate buses and cars towing caravans. A key to the project’s success was Landmark’s ability to provide a one-stop design and manufacturing service, ensuring a consistency across all materials and design aspects.